Over the past few years, we have noticed that in web design the use of flashy illustrations, extraneous textures and drop down shadows have been minimized, if not totally removed. This is due to the growing influence of minimal and flat design – a user-centric web design style. You might also like to take a look at the Top 50 Free Flat Design UI Kits & Templates or the 50 Best Free Responsive Web Templates. And here is more to help you get started. I have compiled 150 best UI kit PSD files and PSD templates for 2017 to help you design awesome websites in no time. Below you can find all website psd themes and UI packs psd items that are categorized to fit your portfolio and any creative needs. A thoroughly documented and PSD template is perfect for artists, photographers, designers and architects to showcase their work. Color designs and elegant UI elements can be used to enhance portfolio pieces to create memorable impressions. Let your work stand out with the It’sMe UI pack available for download here. The DECA UI model focuses on using a minimalistic-style design free of unnecessary elements and leaving only the important ones to focus. DECA is ideal for creatives and agencies looking to attract the user’s attention to their work. The DECA UI pack includes 10 homepage designs which can be downloaded by visiting their page. One-page websites are a popular trend these days and EVERY’s Creative Onepage PSD UI set can help you get the best results out of your design. EVERY comes with all the sections you need including services, features, sample works and contact forms. Upgrade your website today by downloading EVERY here. The Catalizer Creative UI set gives you everything you need to create a modern web page design. Featuring fully-layered PSD files that can be adapted for a wide variety of businesses. Picture galleries use Smart Objects functionality which allow you to easily make edits. Catalizer offers a large number of components that make this versatile UI set very user friendly and high quality. Expedition is a clean and modern-looking PSD UI pack applicable for a business, portfolio or personal website. Expedition features a super flexible and sleek appearance, website template. 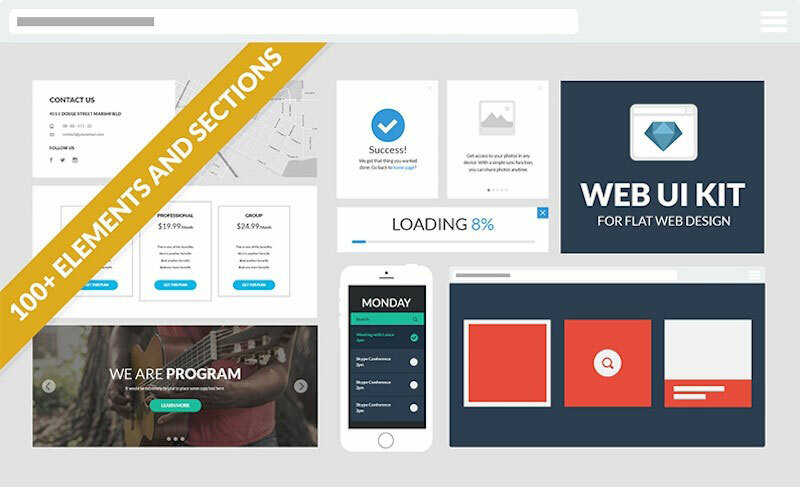 This UI pack will enable you to create a world class website with a unique style and clear focused message. Book Your Tour is a premium UI set PSD theme designed for commercial purposes. 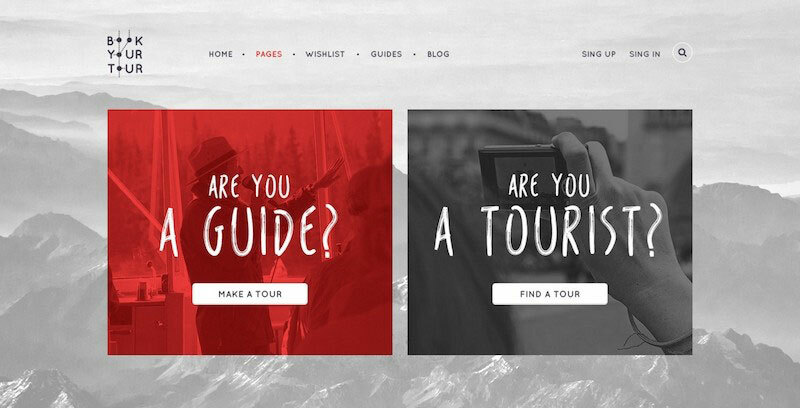 With this kit you can build a breathtaking excursion booking online website using the pre-build layout and elements. You can easily customize already existing graphics in order to create your own unique interfaces. Download It Here. Anaheim’s Creative PSD Templates provide freelancers and agencies with the perfect UI solutions to build great website prototypes within mere moments. Uses the Bootstrap 1170 px grid system for addd flexibility and customization. Anaheim features unique page layouts including: blog, testimonial pages and portfolio pages. Benz Creative Multipurpose PSD Templates are a fresh UI collection with a clean, modern design. This collection features a modern blogging UI with stunning look and great functionality, incorporating all the latest design trends. Benz is suitable for use in Creative, Business and Portfolio projects. Furion is a uniquely designed portfolio PSD theme for creative agencies. It features clean and modern design styles and is a great choice for creative types like designers, photographers and architects. Furion utilizes the latest trends in art design and optimizes its web elements for enhanced usability. 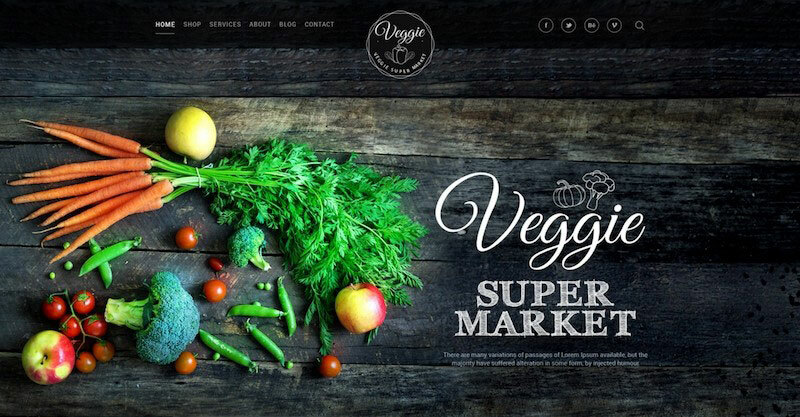 The Veggie Super Market PSD Set uses refreshing and creative designs available in either single or multi-page versions. This Kit is suitable for the online fruits and vegetables market. The kit is easy to use and very flexible to customize for your own needs. 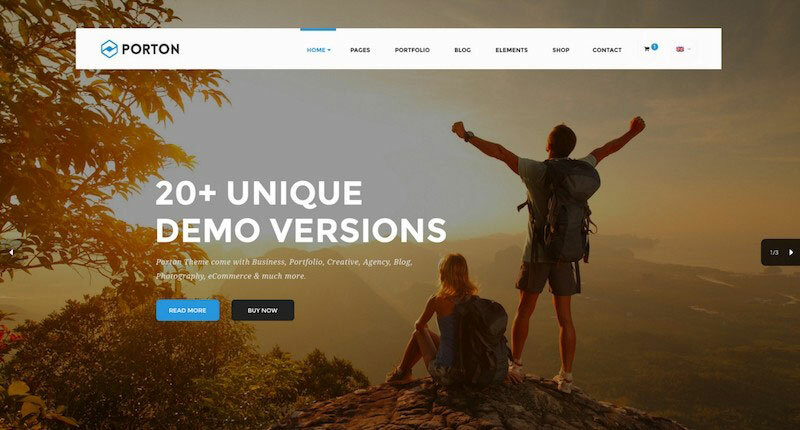 Monaco features a creative one-page PSD theme that uses the powerful and flexible Bootstrap 3 template to ease your woprkflow and make your website more effective in engaging users. Page layouts include: blog page, gallery with popup, skills, counters, testimonials, DOWNLOAD APP, contact us blocks. Monaco is well-suited for many types of websites including corporate, personal, business and more. A pixel-perfect and fully customizable UI set is perfect for blogs, portfolio, artist and corporate websites. Here you can find all the Web Design Themes and UI Collections that will be super useful for your business and corporate type of projects. 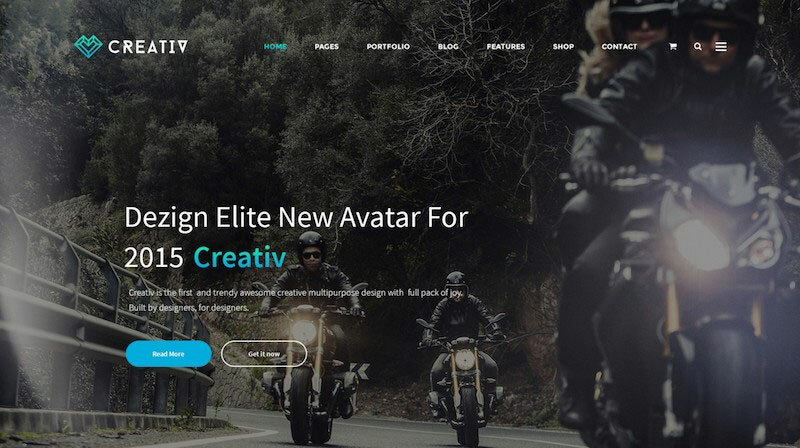 Whether you are looking to achieve a corporate-level appearance in your design, or a more creative look, the ZAP Creative Website PSD theme offers the versatility and design excellence to suit your needs. The PSD files come with grids embedded with layers which allow for easy customization. 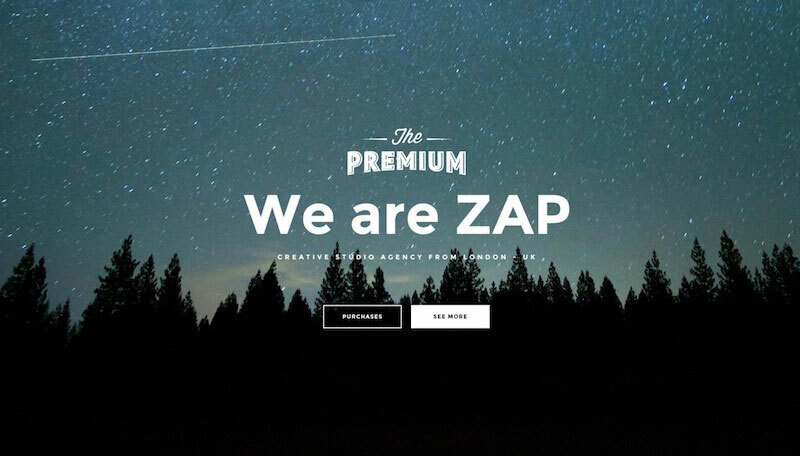 Build sleek and modern-looking page layouts with ZAP by clicking here. 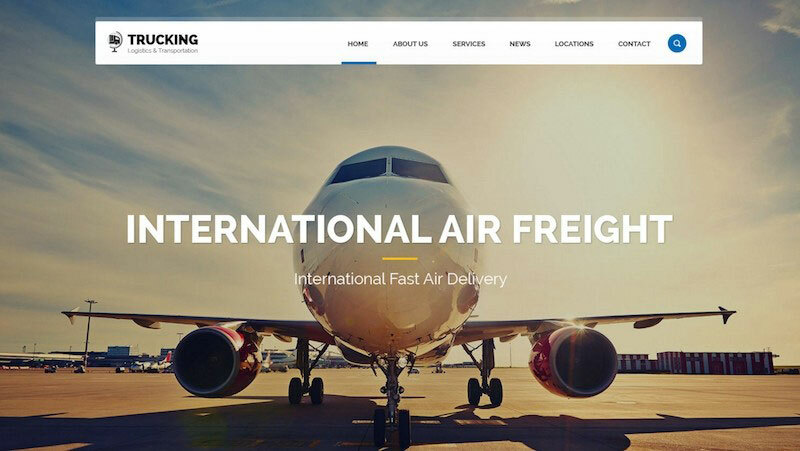 The Trucking UI PSD theme was carefully and specifically designed for businesses in the trucking industry and includes elements such as vehicle fleet pages and logistics network maps. The Helmets PSD UI sets are geared for professionals involved in handyman businesses. 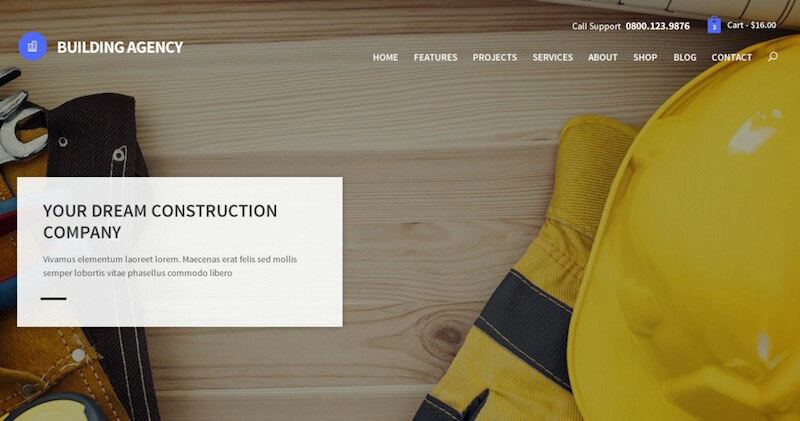 Whether you’re a construction worker, Carpenter workshop, maintenance services or even a Gardener, the Helmets UI pack has the perfect set of UI elements that can help promote your business brand and make your website easier to understand and navigate. Get your Helmet PSD template here and get ready for some heavy duty tools to power your website. Chameleon is a bootstrap-based Admin PSD UI pack template that includes a set of beautiful components, which you can use to create your next dashboard project. Chameleon offers among the best resources for admin dashboards. If you’re in need for an easy to use and beautiful Admin PSD template, click here to download Chameleon. Comes bundled with over 150 widgets and UI sets. 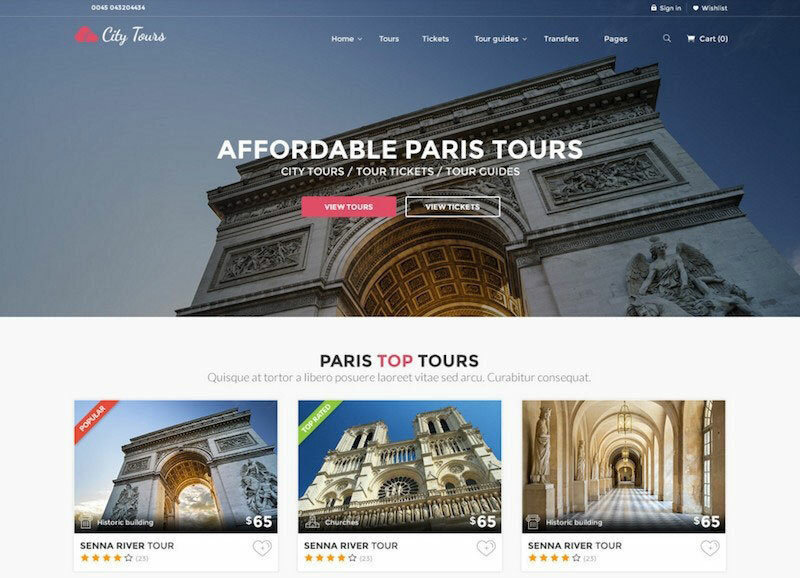 For companies or agencies working in the tourism industry, the CityTours PSD theme provides you with many tools that can enhance the user experience of your website. CityTours can be used to provide popular city attractions information, purchase tickets, take tour rides and many other services that tourists usually rely on. 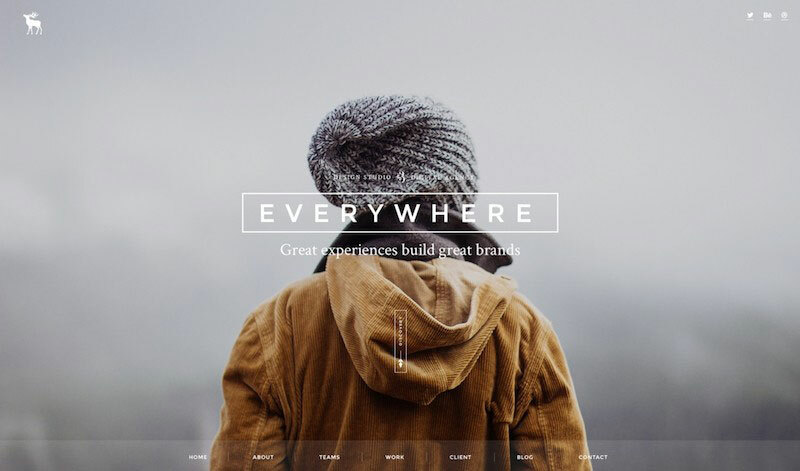 Give your website the edge over your competitors with this great UI pack. This UI Collection is based on the popular Bootstrap framework. Creativ’s multipurpose pack provides users with endless design possibilities. Featuring a clean, flexible and pixel-perfect design, this UI pack can be used to provide amazing design results for all kinds of businesses. See what all the fuss is about and get your copy today. TheFox Business PSD template means serious business and its incredible UI component gives you all you need to help you grow your business. Featuring a powerful Admin panel, responsive design and incredible colors, TheFox UI set is a great theme for your business. 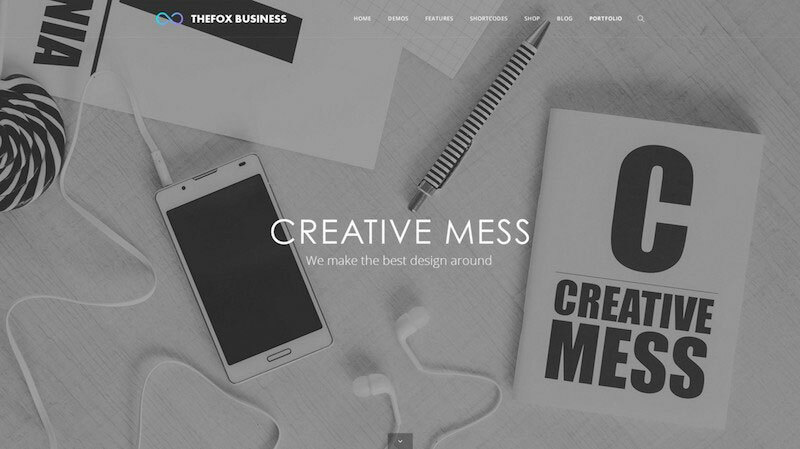 Get your business website up and running today by downloading TheFox here. Give your business website a first-class professional upgrade with the Sentra Corporate PSD UI set. This great UI template has loads of functional features that make it ideal for use in virtually any kind of business website you can think of. Give your business website project the look and feel that a world-class business deserves. It is more important than ever before for business websites to create a great first impression and with the Pace multipurpose UI pack will make you stand out from the crowd. Using impressive design and page layouts with excellent functionalities, Pace has it all and more. This UI pack is suitable for all types of businesses and can be downloaded right here. This UI set is ideal for all types of businesses including Agencies, Corporations, Wedding, Blogs, Shops and much more. 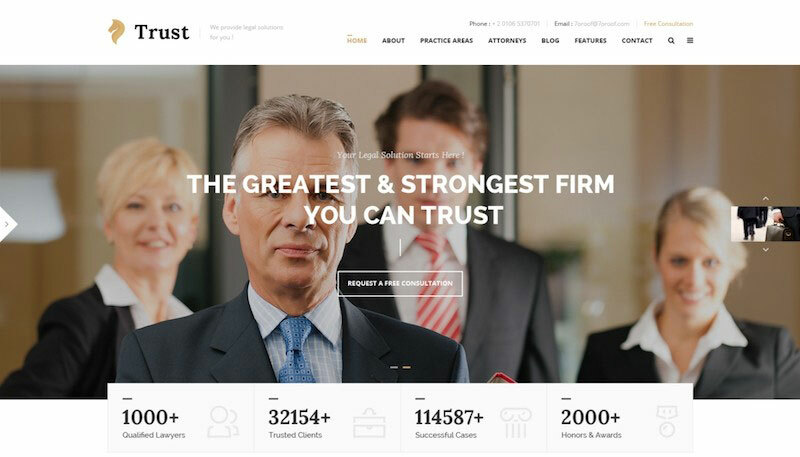 Trust uses a clean and modern-looking design to create professional websites for Law Firms, Law Advisers, Legal officers and any other law-related business. 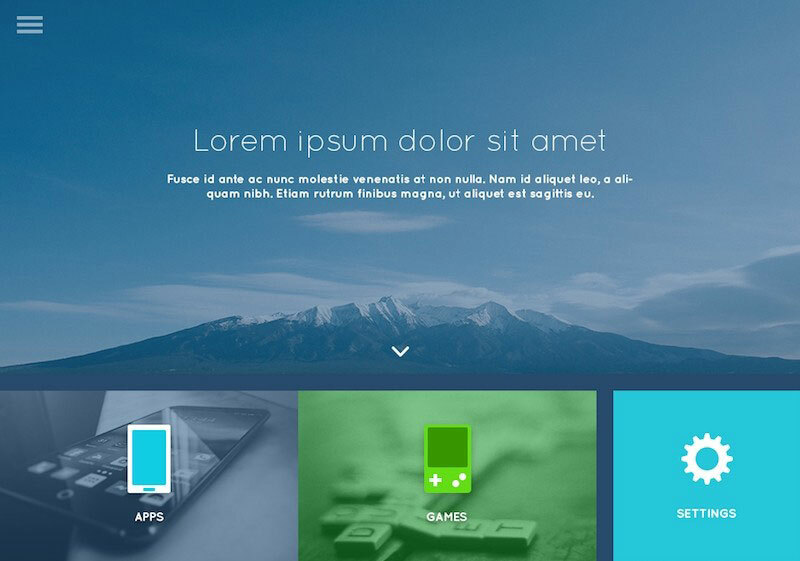 This UI collection features over 10 multi-concept demos and great predefined homepages. Use unique and awesome short-codes to speed up your project workflows. 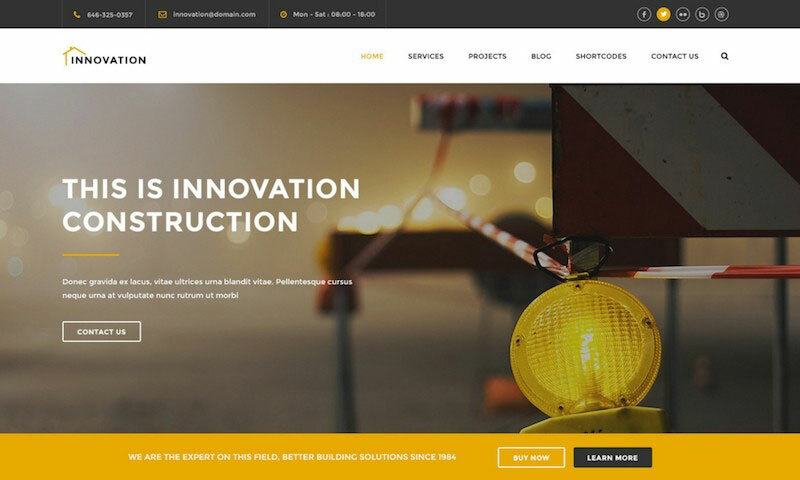 Construction is a great looking PSD UI collection specifically designed with the construction businesses in mind. Featuring a clean and modern template and multipage Homepage options to help speed up your workflow process. This kit is highly customizable and provides great user interface elements. Generosity PSD UI pack is the perfect UI solution for charity-style organizations like NGO, nonprofits and charity shares. 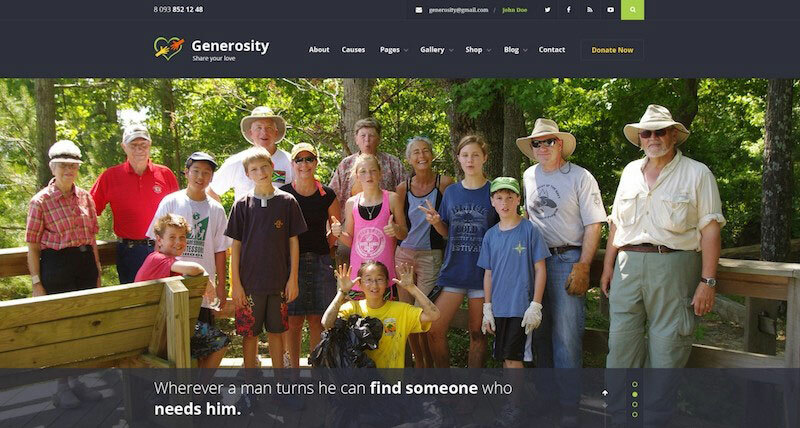 Generosity includes various page layouts including: eCommerce, gallery, Volunteers page and Donation pages. Speed up your project flow with Generosity and help charity organizations make the world a better place. IOD, or “Information on Demand”, is a unique corporate PSD UI set that is used to illustrate information about the company via a clean and simple manner. The “Click on Demand” feature allows users to get more information about the company as they click the button. The UI pack itself features tons of pixel-perfect interface elements that help designers work quickly and efficiently while giving the users enhanced usability. Innovation is a great looking PSD UI collection specifically designed and suitable for the construction and architecture businesses. This UI collection features a clean and modern template and multipage Homepage options to help speed up your workflow process. This kit is highly customizable and provides great user interface elements to speed up prototyping. 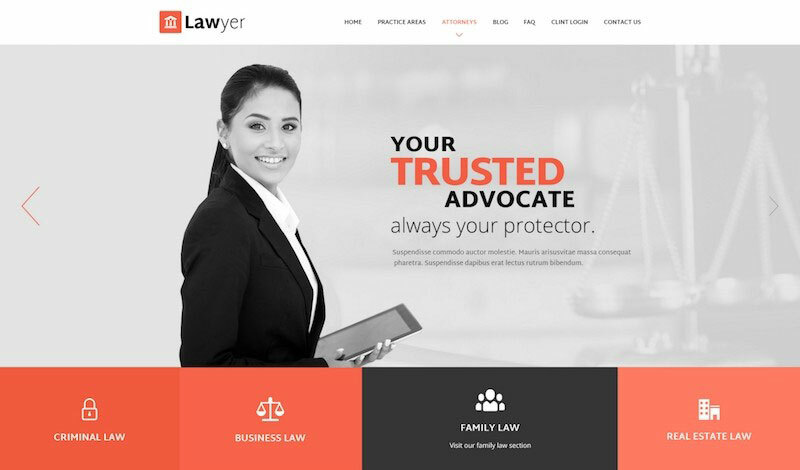 The Law Practice PSD theme sets the standard for lawyer websites with clean and professionally crafted PSD designs. This kit uses a grid-based design and can be easily converted to HTML and WordPress. The UI template is suitable for all types of Law businesses including: Law Firm, Law Advisers, Legal Officers, Legal Advisers, Legal offices, Lawyers, Attorneys and more. 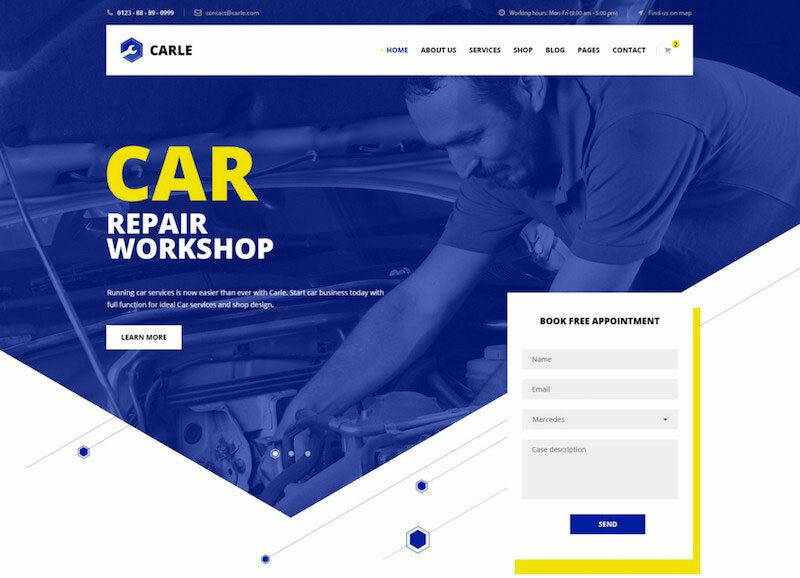 The Carle UI PSD template provides and excellent solution for car service businesses including: engine repair, maintenance, inspections, oil changes, brakes, and much more. Features an easy to use design which is also flexible and customizable. Features specific to this UI set include the ability to book appointments, create special coupon offers and sell car equipment online. BookMarks is a unique and modernPSD UI theme template that can be used for businesses including gyms, corporations, hotels, education and much more. Creative use of responsively designed elements allows users to easily change the design according to your requirements. BookMarks utilizes the latest trends in art design and optimizes its web elements for enhanced usability. Includes 20 fully-layered and editable PSD files useful for Auto Dealers and Auto Shops or other related businesses. Polygon’s Supreme Multi-purpose PSD template offers tons of features that will enable quick prototyping and provide greater usability. This UI pack is suitable for all kinds of businesses including: Corporate, eCommerce, Portfolio and Personal Websites. The Polygon UI template adds interactive features that will bring your site alive and will help increase engagement. The OLEN multipurpose PSD UI set uses clean and modern design and offers tons of features that will quicken the prototyping process and offer a great user experience. The UI set is suitable for any kind of business you can think of including agencies, business companies, portfolio, and much more. The OLEN template adds interactive features that will bring your site alive and increase engagement. CouponXL offers the perfect Deals and Coupons PSD theme that will enable you to quickly create website mockups and start promoting your business today. This handy UI set includes many useful elements ready to be reused in your projects. Showcase your sale products from your website today with CouponXL. RUBY is a true gem when it comes to delivering businesses with perfect PSD template solutions that make websites look great and work better. This UI pack is suitable for all types of businesses including gyms, corporations, hotels, education and much more. If you’re looking to add and incredible time-saving efficiency in your project workflow then RUBY has everything you need. 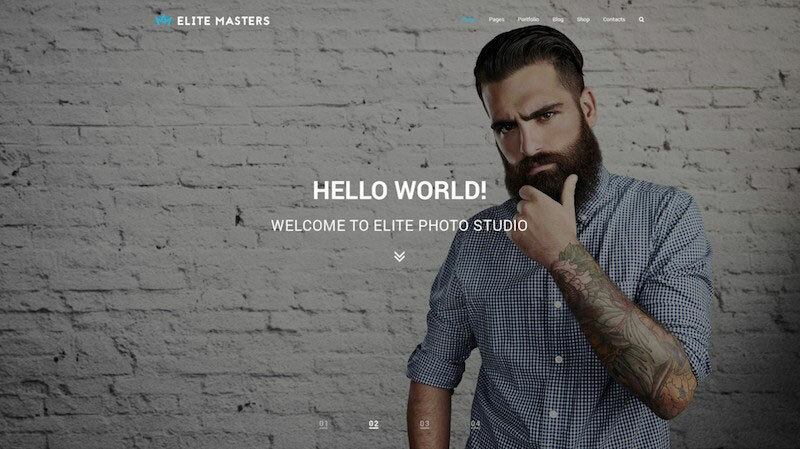 EliteMasters is an easy to use and super-flexible multipurpose PSD theme. Offering a high-quality solution for those who want to speed up their design workflow and be more efficient. EliteMasters features a complete set of components that are made in the same style to help you create the perfect look for your website. Here we have a nice collection of nice, clean and minimal Web Design Templates and UI Packs at your disposal. Globals is a unique multipurpose PSD theme that combines 5 concepts into a single and convenient package. This kit incorporates vivid color schemes and material-style designs which makes it a solid universal template with unlimited potential. Give your website design a truly unique and bold style to stand out from the pack by clicking here to visit the download page. Create a minimalistic and easy easy-to-read website page layout with Capitol’s black and white-colored PSD Theme. Keep your visitors distraction-free so they can focus on consuming your content. Capitol is suitable for all types of businesses and can be downloaded right here. Speed up your web design project speed with Wolverine’s awesome OSD UI collection. Wolverine comes with 113 elegant web pages that will impress even the most demanding customers. 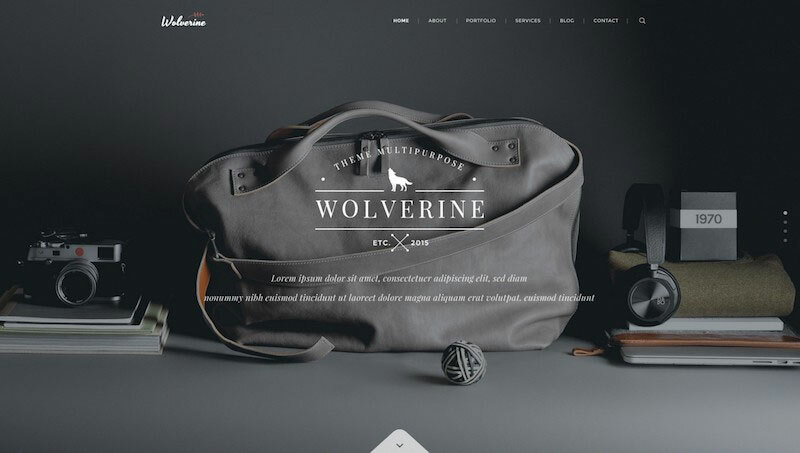 Use Wolverine UI collection to enhance the look and feel of your Corporate, eCommerce or any kind of business website by downloading your copy here. Spruce up your next web design project with a clean and unique appearance using Exe’s Multipurpose template. 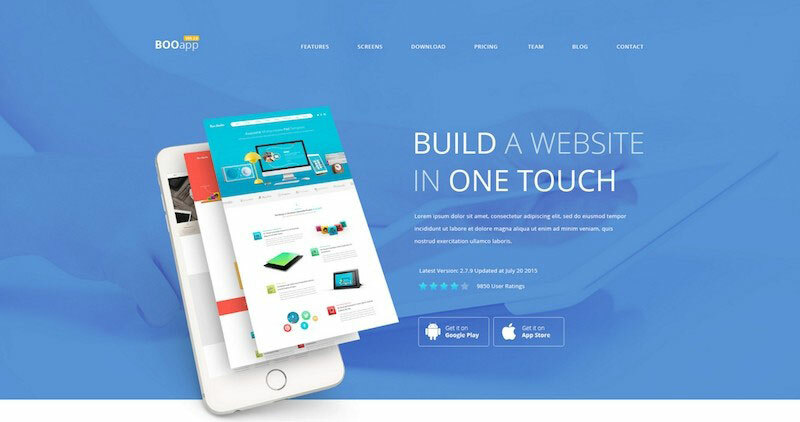 Exe will enable you build modern and stylish websites that will look great across various screens and devices. Test your limits with this wonderful UI set today and grab a copy here. Hydrus is an awesome PSD UI template that makes use of Bootstrap’s popular grid system for a responsive design and enhanced flexibility. Its unique versatility makes it easy to use for many kinds of businesses including shops, corporations, and even personal websites. The Hydrus kit earned its reputation for best design, excellent usability and art direction in Behance. 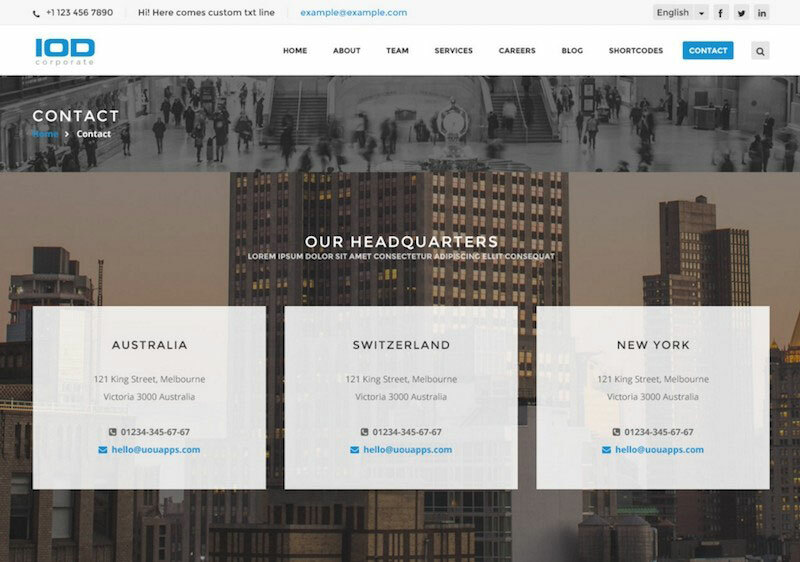 The Lawyer Template has great responsive design, lightweight elements that will not reduce loading speed times and will provide the extra usability that designers are always looking for. Say goodbye to those old, boring Lawyer designs and bring your next Lawyer website project to the modern age with the Lawyer PSD UI template. Hugo’s Music & Bands PSD UI pack is the perfect solution for musician and bands websites. It utilizes a clean and modern design and offers users full control of the styling to match the band identity regardless of the genres of music. Pick up your copy of Hugo awesome Theme here. The Juster Minimal Multipurpose theme uses a minimalistic design that focuses on 2 basic colors: black and white. There are 43 variations of PSD pages and can be customized to suit all types of business websites. Juster is certainly bigger than what you think. 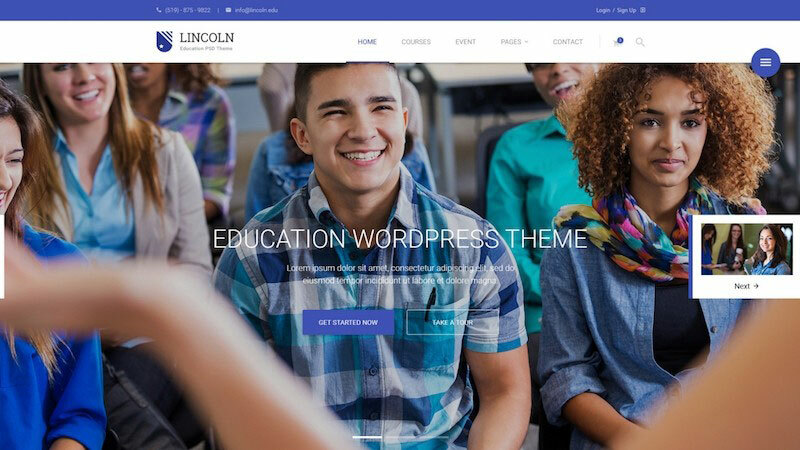 The Lincoln is a top-notch Educational theme that utilizes the latest trends in material design for Education and Learning Centers. Lincoln features block layouts and a high level of flexibility which makes it suitable for business and creative digital agencies as well. The Lincoln design was a result of deep industry research and education-related websites. Magazine websites are notoriously complex to design effectively but with HOTMAGAZINE’s incredible PSD theme, you will be amazed at how much time and effort you will save. In addition, the model comes packed with special features that will help increase customer engagement. This theme incorporates elegant design and modern functionalities and are also easy to customize. Strix has a great multipurpose components pack that utilizes a clean and modern design perfectly suitable for businesses, agencies and even restaurants. The PSD files are packed with options for easy to use Shop pages for your online store. This theme is based on the Bootstrap 1170 Grid system. Square flat designed theme offers a convenient way of prototyping and set of beautiful components featuring the latest trends in flat design. Using simple, colorful and flat-styled components, Square inteface is a perfect fit for any type of project from complex websites to simpler personal websites. Speed up your web design workflow with Square’s great looking interface today. 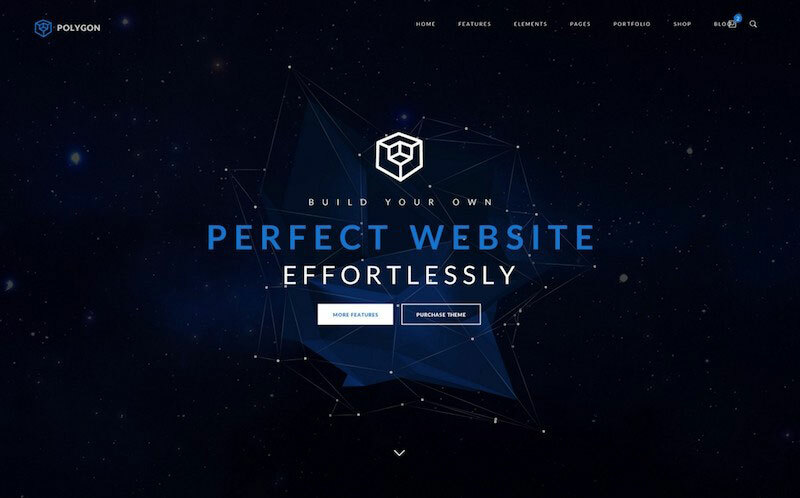 Create beautiful and optimized flat web sites faster with Flat Web! This flat designed interface kit will help you help your clients, and even get you more work! With this theme, you can deliver on your flat websites much faster and with better aesthetics. Note: This is our own crafted UI pack from 1stWebDesigner based on your feedback, make sure you check it out! Add a touch of vibrant, modern and fully customizable elements to your next website project design with Exeo’s template. This awesome-looking theme is carefully crafted with a great attention to detail and its user interface. Exeo features a wide range of elements that cover a wide variety of categories. The Vivid Soft Material kit features a clean typography and pixel-perfect elements that makes it a tool to create any kind of website or web application. This one comes with fully layered and well organized PSD files. Vivid is a visual masterpiece that contains 6 compact categories and over 170 components and over 500 interface elements that will turbo charge your project workflow. Singleton template pack offer designers a simple and stylish way to build landing pages for all kinds of businesses. This awesome-looking kit is carefully crafted with a great attention to detail and it’s user interface. Its unique versatility makes it easy to use for many kinds of businesses including shops, corporations, and even personal websites. 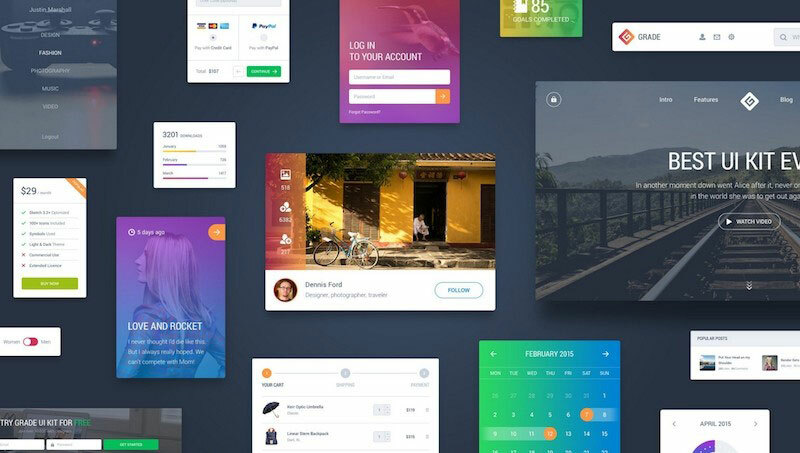 If you’re looking for a user interface pack that features a huge user interface that can help you design websites with Sketch and Photoshop then the Silk delivers all the goods you are looking for and more. Users will enjoy the option of using 11 different categories including blog, media, widgets and more. Fully organized components are properly named and for quick identification and ease of use. Includes a huge modern compilation containing over 130 terrific components in 11 popular categories. UI pack comes with UI elements that are fully customizable and responsive in design. 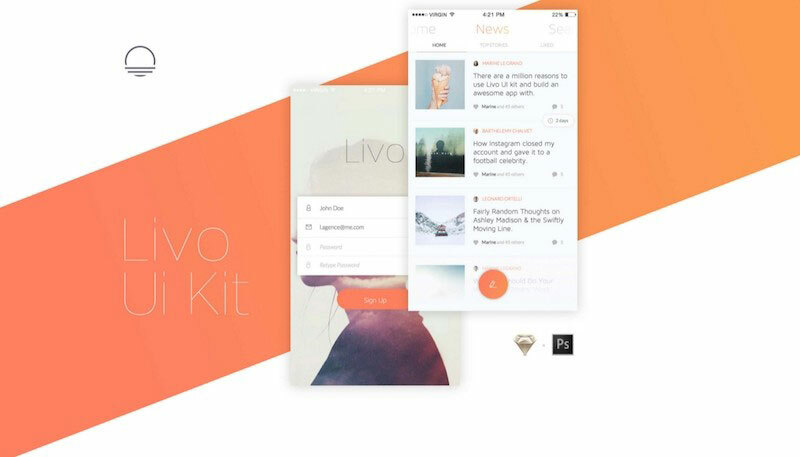 The Livo offers a simple but effective mobile UI pack for Photoshop CC 2015 and Sketch. Livo is fully customizable and contains more than 200 screens in 8 categories. Users will find Livo incredible user friendly and will admire the exceptional high quality design. This kit is great for designers who are in need of iOS UI elements or Android PSD elements. UI set comes with UI elements that are fully customizable and responsive in design. This Kit is packed with over 110 App screens with fully customizable elements that are in Sketch and Photoshop file formats. The Ink is a premium pack complete with over 150 high quality iOS screens that will lighten your design workload and create stunning visual aesthetics. The PSD files contains 7 categories that will suit the needs of any kind of business or personal website. Each screen is fully customizable and and responsive in design and was created using Sketch and Photoshop. 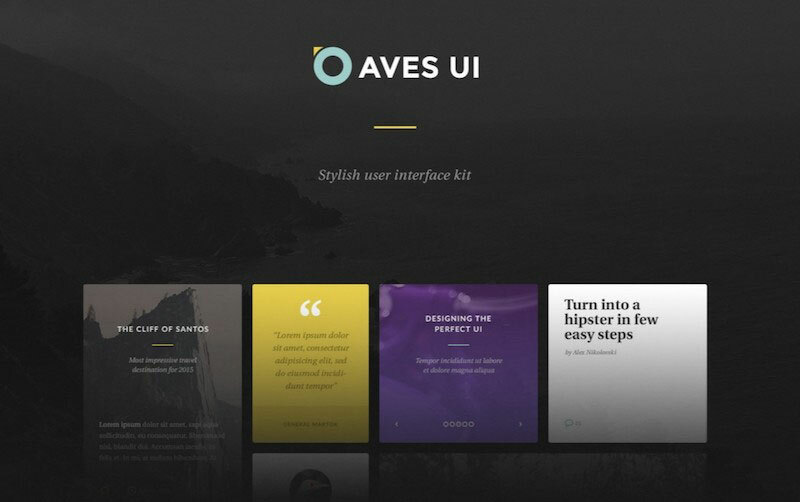 Aves UI Design is a large, stylish interface pack that features hundreds of web elements that will speedup your website projects in Photoshop with ease. Aves offers multiple sets of icons, swatches and actions that will enhance the user interface. Aves uses elegant typography enhances legibility across web and mobile interfaces. Save time and effort by using the Baikal UI pack in your next prototyping project. 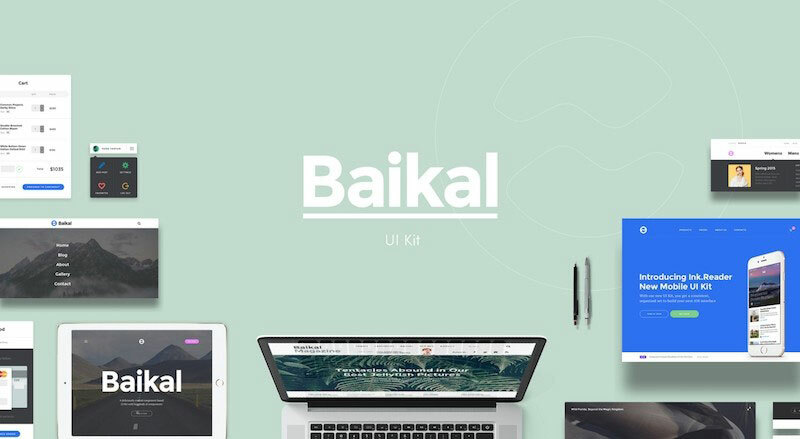 With a total of 130 components and over 1000 UI elements, Baikal has all the essential solutions to build any type of business or personal website. One of the unique features that Baikal provides ids the use os simple but interchangeable components that makes it easy to create new custom styles with hundreds of options to choose from. Baikal UI Collection incorporates the use of plenty of free typefaces from Google Fonts. The Coloristic Mobile UI pack is carefully crafted on Sketch and Photoshop and suitable for mobile apps. Whether you’re prototyping for iPhone or Android Apps, Coloristic will give you the necessary tools and design elements to speed up your workflow and create great functional elements for increased usability. Made by UI Chest, the Grade is one of the most powerful user interface kits on the market. It features more than 1,000 expertly crafted elements suitable for use in 10 categories. Upgrade your web prototyping process with the Grade UI pack today. The EventPro allows you to manage your upcoming events with ease. It includes multiple layouts and UI elements perfectly adaptable for web and mobile use. EventPro uses a highly advanced customizable interface that allows you to do things like pin content, manage items, track balances and gather statistics. Create and manage your events with the EventPro UI pack. Nakropol is a free and simple to use UI collection, that enables users to create their app screens on the same design lines. All web elements are responsive and easily editable to your needs and specifications. Grab a copy of this great UI collection right here. 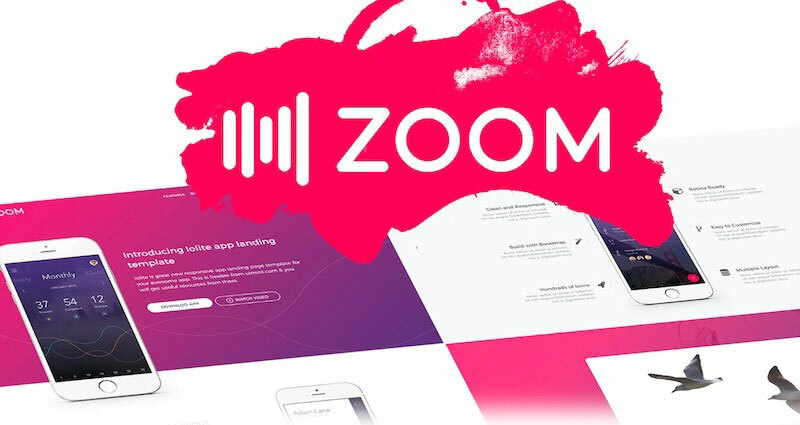 Zoom is a colorful, flexible and free UI collection that will help designers get stuff done quickly and looking great. Zoom features an array of UI elements that are responsive in design and look great regardless of screen resolution. Grab a copy of this excellent UI collection here. Lanna is a free UI pack Photoshop Template that helps designers have a better and faster workflow. Lanna offers a high level of user-friendliness and impressive versatility, this collection will take your prototyping to new heights. Lanna is a perfect way to provide a realistic demo version of your website that can showcase your design effort. 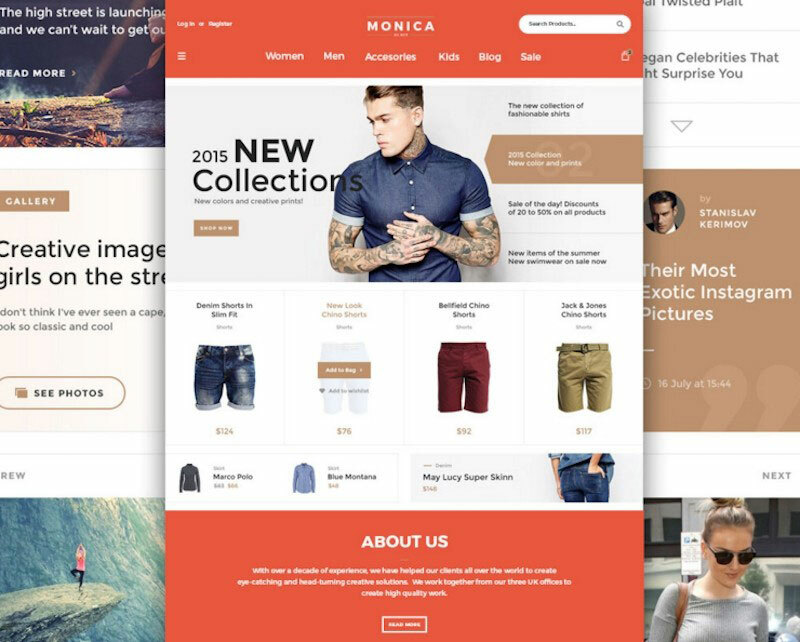 Monica Web UI collection Freebie lets you customize your projects and speed up your workload. Design a wide range of websites that can suit any kind of business from Personal to Corporate to eCommerce. Monica Freebie has everything you need to create a great us interface and colorful designs. PerfectKit features a clean, modern and visually stunning UI set that contains many elegant components and modules. The UI set comes prepared for both desktop and mobile device viewing. PerfectKit lets users customize and combine over 60 ready-to-use blocks to create the exact look and feel you are trying to achieve. UI set features 60 blocks that can be changed and customized to achieve an unlimited amount of website presentations. The Kenzi UI pack is a collection of 16 use interface elements carefully designed to speed up your workflow. The UI pack is based on the 960px Grid System for optimal flexibility and customizability. Kenzi incorporates color-neutral tones with pops of coral color throughout. Color-neutral tones characterize this UI pack. Trend UI pack lets you customize your projects and speed up your workload. Design a wide range of websites that can suit any kind of business from Personal to Corporate to eCommerce. Trend UI collection has everything you need to create a great user interface and colorful designs. 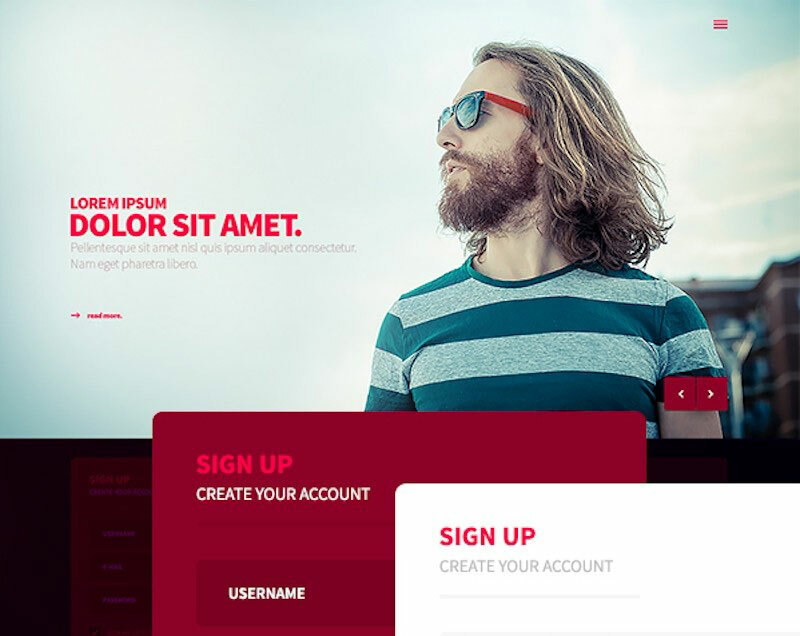 The Free PSD UI template is an amazing website builder PSD UI pack. This kit comes packed with a dizzying array of gorgeously-designed UI elements that gives you everything you need to create stunning websites. Get your copy of Free PSD UI pack here. Whether you are looking to achieve a corporate-level appearance in your design, or a more creative look, the Habsburg Ui collection offers the versatility and design excellence to suit your needs. The PSD files come with grids embedded with layers which allow for easy customization. 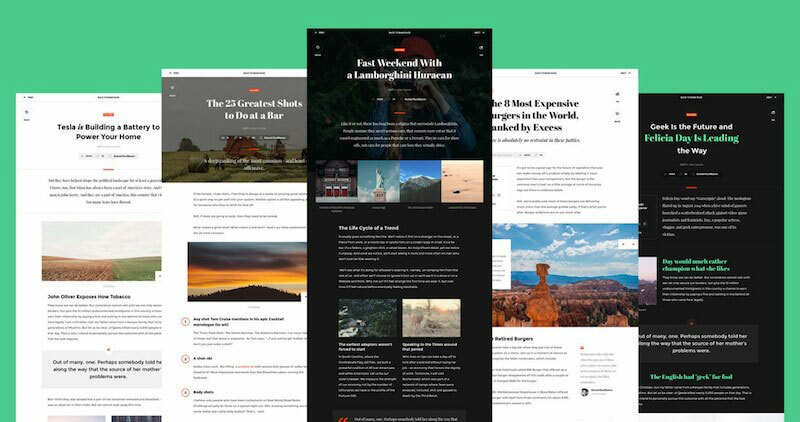 Build sleek and modern-looking page layouts with Habsburg by clicking here. A pixel-perfect and fully customizable UI pack is perfect for blogs, portfolio, artist and corporate websites. Now see some really nice Professional Agency templates and kits to help you get your next project off the ground. A complete multipurpose PSD template is suitable for all kinds of business ranging from the hustling Freelancer to the professional creative agency or even an App Developer. Plenty of page design options to let you quickly create great-looking personal and business websites. Regardless of your line of business, the Coco Multipurpose PSD pack has you covered so download your copy here. Every page and section of Coco’s PSD pack comes with high quality graphics and elegant styling to create an amazing impression on your visitors. The Buidling Agency Blog and Shop PSD UI set is a great looking PSD UI set specifically designed with the construction/businesses in mind. Featuring a clean and modern template and multipage Homepage options to help speed up your workflow process. This kit is highly customizable and provides great user interface elements. Pack includes 16 PSD files are fully layered and customizable and all elements are in groups and can easily identify by the group name as well. Suburb is a new unique and fully responsive PSD UI template. 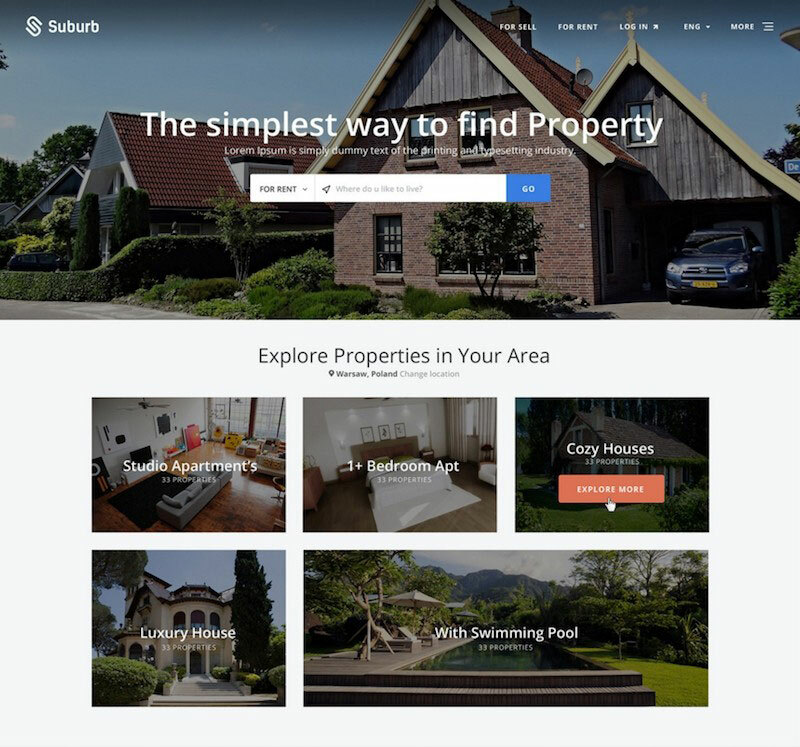 Suburb can be used to create real estate business websites such as real estate agency and estate agents. This UI set uses the Bootstrap 3 with 1170 px grid for enhanced flexibility and customization. Mobile aps and designing for them is in such a demand these days. 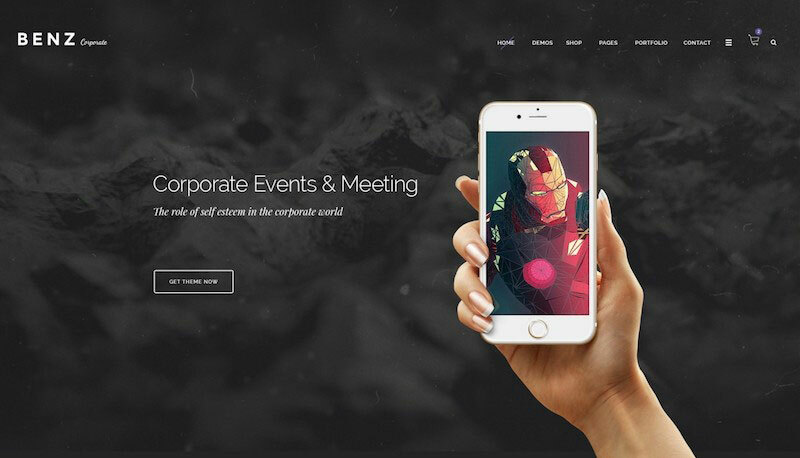 Here are some great templates and PSD UI Collections for both iOS and Android platforms. 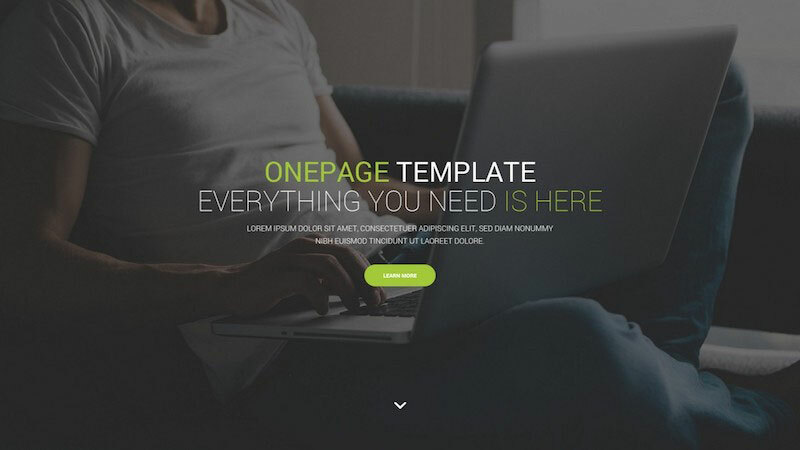 Create impressive one-page templates with the Omni UI pack. This pack is great to use for applications, devices, software development, and marketing companies. Grab a copy of this cute and modern-style kit right here. BOO’s versatile PSD UI pack can provide the perfect design elements for all types of businesses. The kit is designed in many styles including Dark, Light, Clean, Elegant and much more. Check out their download page to see their impressive list of store design options. AppBox provides the ultimate Mobile App, product, startup landing page and incorporates a clean and modern design style to boot. With tons of features and customizability options, AppBox will add tons of great looking usability features that your users will enjoy. UI set comes with UI elements that are fully customizable and responsive in design. The HIT multipurpose PSD UI set offers tons of features that will enable quick prototyping and great usability. 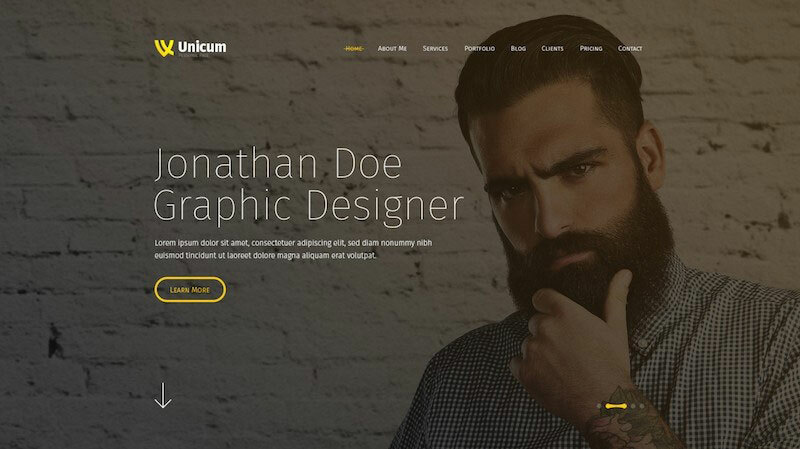 The UI kit is suitable for any kind of business you can think of including: Creative Corporate, Corporation, Community, Personal Portfolio, Creative Blog, Gallery Photo and other purposes. The HIT template easily converts to WordPress or Joomla. Dikka is an elegant and modern-looking PSD theme suitable for multipurpose use. This UI set offers tons of features that will enable quick prototyping and great usability. The UI set is suitable for any kind of business you can think of including: Corporate, eCommerce, Portfolio and even Personal Websites. The WooHoo UI Set was designed to help designers add efficiency in their prototyping process and showcase their mobile or web app. Use WooHoo to design your next iOS 8 app with the greatest of ease. WooHoo features many shortcodes, vector-based layers and typography elements that let you do more with less. Ghost Ship Mobile UI Pack Free is a uniquely-designed PSD theme that uses a clean and modern look. PSD files are grouped together in a way that makes it easy to find use and customize. Ghost Ship UI pack serves as a great tool to detect design or usability issues before your web projects go live. The Ace UI Set will help designers speed up their project flow and detect any potential design and usability problems before any coding even begins. Quickly create mockups within minutes and watch your project come to life. Use Ace to combine and customize elements to create beautiful interfaces for your next website projects. Winter UI collection came just in time for the Christmas holidays. Using a winter theme with clean and beautiful design, this fabulous UI collection will spread holiday cheers to designers looking for ways to add beautiful visuals and ease their workloads. Winter-themed components will change the appearance of your websites, landing pages or blogs. The Free Music Player UI collection for Android it’s modern and attractive elements that are crucial for creating a great music interface for web and mobile phones. Some of the music-related elements you’ll find included in this UI collection are: music controls, music sliders, seek bar and music buttons. The elements are included in fully layered and well-organized PSD files. UI Collection was designed for Adobe Fireworks and Photoshop. CASLO is a UI set freebie that uses a clean and stylish set of web UI elements to assist you with prototyping web designs. There are tons of commonly used web elements to choose from which makes this kit suitable for all kinds of businesses. CASLO is perfect for designers who want to have a better and faster workflow. The ZEN UI set features a transparent interface that is ideal for making iOS7 projects. This UI set uses a clean, professional and flexible design that brings a little “zen” to your project workflow by letting you reuse elements and speed up your process. PSD files are neatly organized and easy to use. Flatastic is an awesome-looking user interface collection that contains tons of mobile UI elements to supercharge your prototyping process. This fantastic UI collection contains various sets of icons with sets of included actions. Flatastic supports both Standard and Retina display. This Material Design UI collection freebie uses a small set of basic pieces consistent with the guidelines of Material Design. This kit includes offer rapid prototyping capabilities that are crucial for achieving a faster and better workflow. Grab your free Material Design UI collection here. Tethr is absolutely one of the most gorgeous iOS UI collections you’ll find in the market, and what’s better is that it’s totally FREE! Add some class to your prototyping work with Tethr’s minimalistic design and retina ready images. Make your mobile prototyping easy with Tethr today. Do is the most versatile To-Do App User Interface Set you’ve ever seen. Do’s clean, colorful design makes it a perfect fit for today’s flat aesthetic. Do features enough UIS to build all kinds of apps. So there’s no need to worry about optimizing your assets. Mayssam Free UI pack lets you customize your projects and speed up your workload. Design a wide range of websites that can suit any kind of business from Personal to Corporate to eCommerce. Mayssam Free UI pack has everything you need to create a great us interface and colorful designs. It’s always an advantage to have a very uniquely styled design for your projects. Here you can find some very unique, modern and stylish themes and UI Collections. 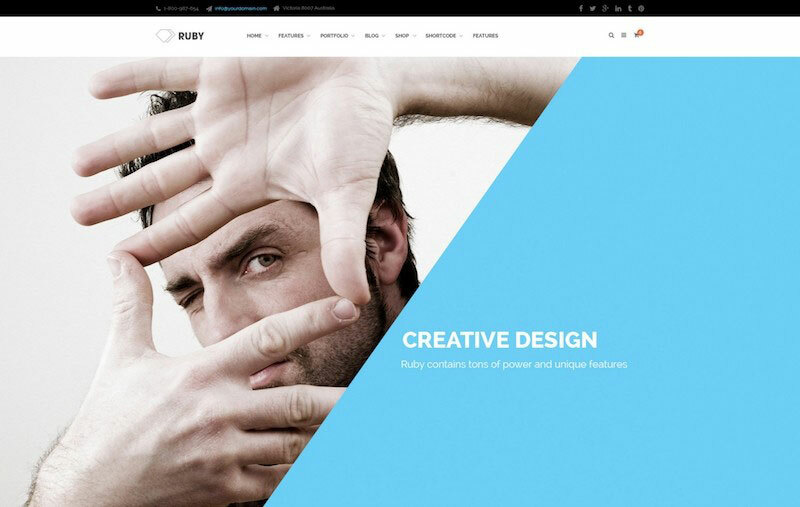 The HUGE PSD theme is the ultimate website builder PSD UI set. This set comes packed with a dizzying array of gorgeously-designed UI elements that gives you everything you need to create stunning websites. Find out why HUGE is one of the fastest selling PSD kits in the market by purchasing your copy here. QARO is a responsive multi-purpose PSD theme based on the Bootstrap grid 1170 PX. Featuring flexible layouts, responsive and trendy designs, QARO provides a complete UI set solution. Create your next visual masterpiece by using QARO’s clean and modern UI Set PSD by clicking here. Rosetta is a unique and modern PSD theme which works well with promotional agencies, marketing firms and analysts and much more. Rosetta makes use of the popular Google web fonts and the popular Bootstrap1170 Grid System to crate eye-catching page layouts. Get a copy of this practical and elegant UI pack by downloading your copy here. From beautiful pricing tables to professional looking corporate blog page layouts, Rosetta’s UI Set can be customized to fit any design style you are looking for. A versatile UI Set that can be used for virtually any kind of business. 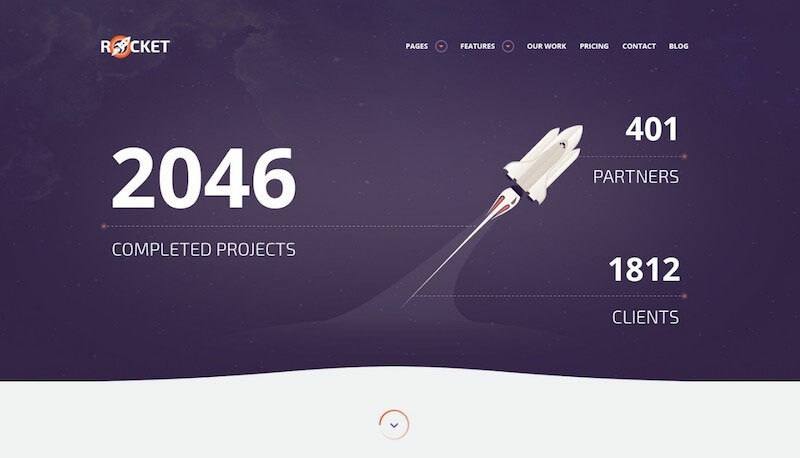 Give your web design workflow a much needed boost with the awesome Rocket PSD UI collection. Featuring Bootstrap 3-grid 1170 PX and 4 different header styles to to stylize your layout the way you want it. 20 PSDs are included to make an incredible overall package which you can grab right here. The SEED UI pack comes as clean as they get. With a modern, user-friendly and natural style, SEED will provide your visitors with a fresh looking layout that will not clutter their senses. Grab a copy of SEED now and start impressing your visitors today. Fashion Atelier is a multi-purpose and multi-page UI collection that comes packed with optimized PSD files that can be easily implemented to suit Wedding Bridal, Groom and any other kind of Fashion eCommerce shops. Beautiful graphics are effectively implemented with different components to create the age style you are looking for. Fully customizable page designs and colorful graphics make this UI set easily adaptable to any kind of website. Retina Icons and Font make this UI set aesthetically pleasing and captivating. Porton is driven by design and uses a clean, ultra-flexible, responsive and pixel-perfect PSD set that makes it perfectly adaptable to any kind of business. Featuring professional online support and a wide variety of demo versions, Porton is suitable for newbies and professional designers alike looking to add great usability in their web design projects. Check out the download site today and start upgrading your web project workflow today. Medico is a professionally looking PSD UI collection with a clean, modern look suitable for Medical Clinincs, Dentist Offices, Veterinary Offices and other medical businesses. This collection comes in various versions: Light and a Dark, boxed and wide and in Single and Multipage versions. Medico uses the grid system and can be easily converted into HTML and WordPress. The Doctor Health Clinical PSD Theme comes with well-organized PSD files featuring a stylistically pleasing UI set that incorporates the latest design trends. Doctor comes with various Online Shop page layouts that are focused to show the products you sell. 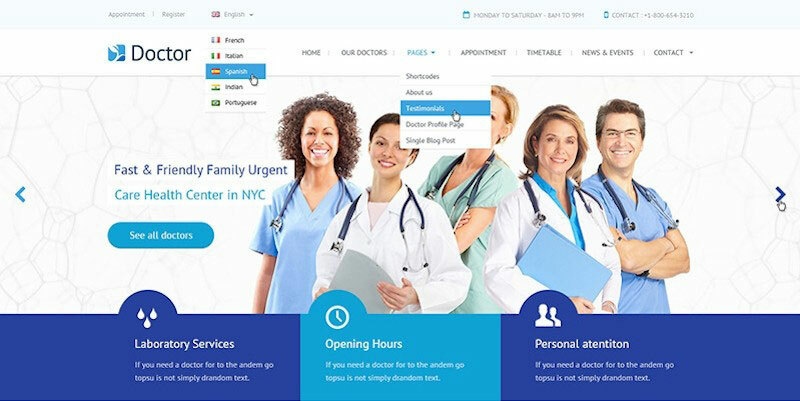 Get your next Medical website project completed quickly and looking great today with the powerful and stunning Doctor UI collection. The Water&Spirit Template Design is a multipurpose UI set that will perfectly fit the needs of all types of businesses including gyms, corporations, hotels, education and much more. Included with the PSD files are easily-customizable vector icons, shapes, web fonts and more. With over 18 high quality PSD files and gorgeously designed elements, this UI set has everything you need to step up your game. Garden Master is a Multipurpose and Responsive PSD template suitable for businesses involved in gardening, lawn, and agriculture. Garden Master features a super flexible and sleek appearance, website template. This UI collection will enable you to create a world class website with a unique style and clear focused message. The Turbo iOS Wireframe pack uses a flat, clean, minimal style that will please your visitors. Contains over 70 beautiful outline icons that are perfect for creating a unique design experience. Screens are 750×1334px Retina-ready and can be fully customized. The Monobrand iOS UI collection helps giving your brand a strong visual presentation that tells the story of your business. For any online shop looking to sell products and services online, the Monobrand UI collection provides you with all the tools and components that will give your website its unique look and feel. Whether you need to build an eCommerce store or a cafe restaurant website, the Monobrand UI set will add elegance and usability to your final design. The Monobrand UI Collection is the desktop version of the Monobrand iOS UI Collection which gives your brand a strong visual presentation that tells the story of your business. For any online shop looking to sell products and services online, the Monobrand UI pack provides you with all the tools and components that will give your website its unique look and feel. Whether you need to build an eCommerce store or a cafe restaurant website, the Monobrand UI pack will add elegance and usability to your final design. 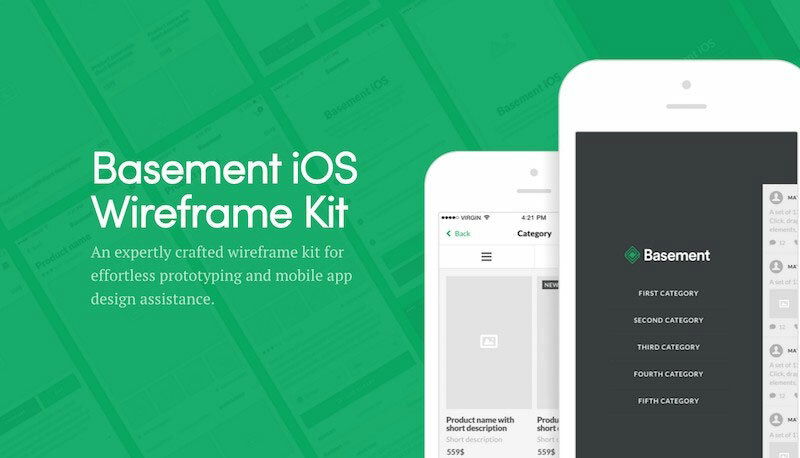 The Basement Wireframe Pack is the desktop version of the Basement iOS Wireframe Pack that will take your prototyping and mobile app development skills to the next level thanks to its expertly designed components. Basement will help you save time and effort in all your app and website designs with expertly designed base elements that make it easy to create new screens. Its Markup and Gesture Icons are excellent icons that help show actions to users and additional information about your project. UI collecion is packed with over 110 App screens with fully customizable elements that are in Sketch and Photoshop file formats. Snug offers a great looking, clean, and easy to use UI pack suitable for blogs, magazine sites or news portals. This pack makes stylistic use of dark and light elements to create visually appealing backgrounds. The various page layouts use typefaces from Google Fonts. UI Pack contains 6 categories: Article, Samples, Widgets, News/Posts, Headers and Footers. 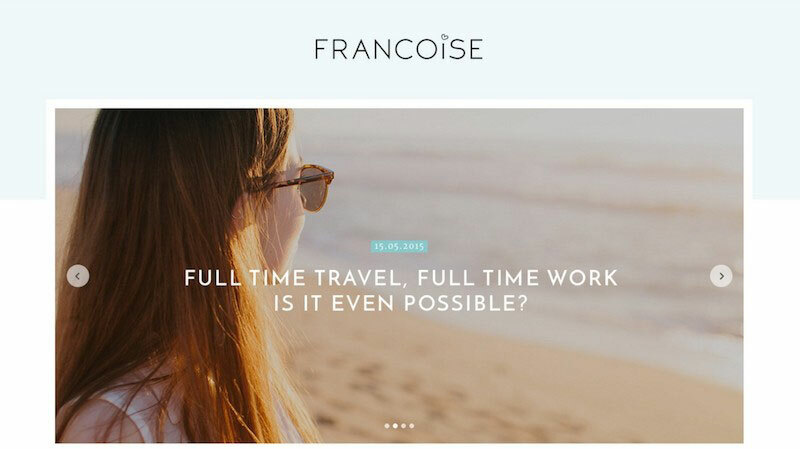 Francoise is a beautiful, modern and clean blog PSD UI set that is suitable for people who like to tell stories. Users will appreciate the high level of attention to detail that has been put into this impressive UI set. With 6 homepage variations to choose from, designing website prototypes has never been easier and quicker. The Farm Fresh PSD UI Collection is a great way to add efficiency and enhanced visualizations to your next farm-related website project. Suitable for organic farms, online shops or bio websites, Farm Fresh offers all the user interface components you need to make an excellent website prototype. The pixel-perfect icons and interactivity elements provide excellent visuals and will increase visitor engagement. The Megatron multipurpose PSD UI set offers tons of features that will enable quick prototyping and great usability. The UI pack is suitable for any kind of business you can think of including: Corporate, eCommerce, Portfolio and even Personal Websites. The Megatron template adds interactive features that will bring your site alive and increase engagement. 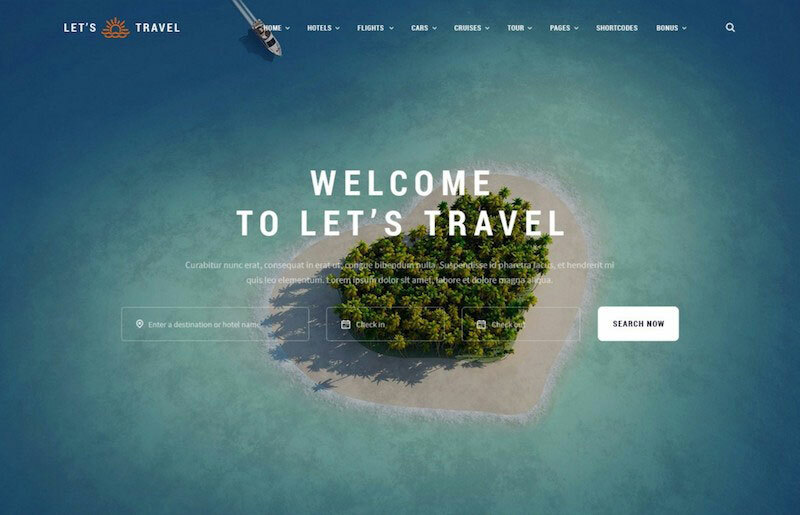 The Let’s Travel UI collection provides businesses like Travel Agencies the perfect website templates that will let your site get off the ground in the quickest amount of time possible. The elegantly designed kit features plenty of elements and typography features that will make your website look more modern and professional. Get a copy of this amazing UI collection template right here. This UI pack contains 10 unique Homepage designs including 50 pages to match all your needs. The MOUNTBLACK multipurpose PSD UI pack offers tons of features that will enable quick prototyping and offer great usability. The UI pack is suitable for any kind of business you can think of including: Corporate, eCommerce, Portfolio and even Personal Websites. The MOUNTBLACK theme adds interactive features that will bring your site alive and increase engagement. The Semona Multi-Concept PSD theme offers lot of features that will speed up your prototyping process and increase user experience. This versatile UI set is suitable for all types of businesses including: Corporate, eCommerce, Portfolio and even Personal Websites. Semona’s template adds interactive features and reusable elements that will bring your site alive and increase engagement. Lumen is a multipurpose PSD UI collection offers tons of features that will enable quick prototyping and offers great usability. The UI collection is suitable for any kind of business you can think of including: Corporate, eCommerce, Portfolio and even Personal Websites. The Lumen template adds interactive features and reusable elements that will bring your site alive and increase engagement. 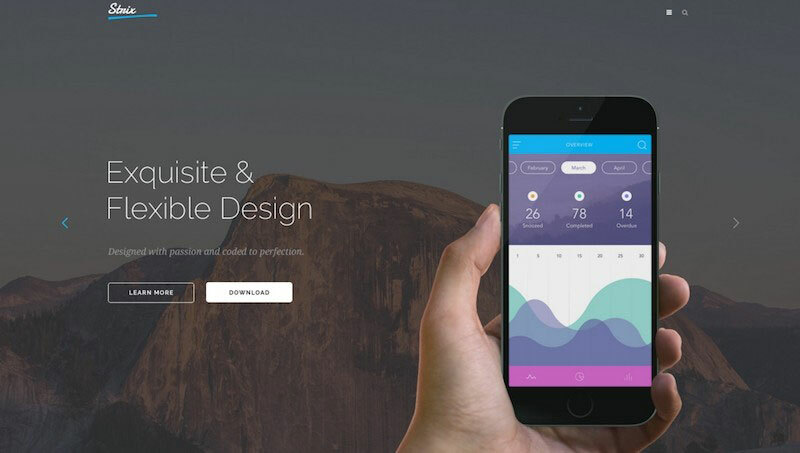 The DESIGN3EDGE is a great website builder UI collection. This kit comes packed with a dizzying array of gorgeously-designed UI elements that gives you everything you need to create stunning websites. Download this great freebie here. The Coffee UI set includes elements such as menus, media players, icons, buttons, tabs, sliders and more. It uses a clean modern design to help make your web projects easier to manage and prototype. Elements included in this kit are Vector and Smart Object-enabled. The Hohenzollern UI collection is built using grid system that will help streamline the web development workflow. Color palettes can be customized into other colors in a way that still keeps the UI pack’s identity. Grab a copy of this amazing UI set right here. The Stark UI set is a fully customizable UI pack that can be adapted to fit the needs of any business website. Its elegant design patterns and gorgeous web elements make it suitable for businesses including gyms, corporations, hotels, education and much more. One of Stark’s unique special features is the ability to fit Right to Left direction languages like the Arabic language. UI collection consists of 128 flat colored icons. Meet LIQUID UI collection will help designers meet the common layout challenges that consistently add time and effort to your workflow. This UI set uses Material Design for the stunning visual effects as well as a grid system that makes it easy to make fluid layouts. Users will enjoy the top-notch visuals and enhanced usability options that Meet LIQUID Ui collection provides. The Dyk Blog UI set is a great solutions for creatives, freelancers and agencies. It uses elegant and minimalistic design that is fully customizable. A pixel-perfect and fully customizable UI set is perfect for blogs, portfolio, artist and corporate websites. If you are planning to work on an eCommerce project or retail, auto, even restaurant project these items are for you. Give your eCommerce store a great visual make-over with SEBIAN’s Multipurpose PSD Theme. Sharp graphics and an elegant design will encourage shoppers browse through your online store longer. Grab this premium PSD theme here and reinvigorate your eCommerce store today. Gourmet offer the perfect balance of minimalistic and pixel-perfect grid design for your food and restaurant business website. The Gourmet UI pack features a high level of functionality and usability that can benefit any project. Grab a copy of this high quality UI Collection by clicking here. Logancee has earned a reputation for creating one of the most unique multi-purpose eCommerce PSD themes on the market. Give your online store a cleaner and modern look so that online visitors can spend more time browsing through your products. Why wait any longer? Check out the full details and download your copy today. This UI Set is based on the popular Bootstrap framework. Kick your web designing process into high gear with Auto Club’s fantastic PSD UI collection template. This unique PSD set is creative, modern and multipurpose and essential to designing great auto dealer and auto shop websites. Whether you are looking to buy or sell cars online, Auto Club’s Car Dealer Theme provides one of the best UI set solutions on the market. Visual UI collection provides users with all the tools you need to ease your web project workflow as well as helping make your websites more eye-catching. The PSD Set uses clean, modern and visually appealing design that users will find easy to use and flexible. Grab a copy of this UI collection and get your web design speed to the next level. Visual UI set includes 32 fully-layered and professionally designed PSD files. Set is based on the flexible and uses the responsive Bootstrap 3 Grid system for added flexibility and easy customization. Emerald Dragon provides a fantastic marketplace PSD web elemant collection that can be thoroughly customized to fit the needs of any type of marketplace business. The Emerald Dragon kit is packed with 39 gorgeously-designed PSD pages using the powerful Bootstrap 3 grid system. Cut down needless repetitive actions that only slowdown your project workflow by getting the Hoki eCommerce PSD UI collection. This UI set will enhance your online store’s existing user interface as well as provide you with inspiration for new ideas and functionalities. Get your new online store looking fresh and highly usable for your visitors with the Hoki PSD UI collection. Stand above the common Car Rental businesses with this spectacular Car Rental Management PSD theme and UI set by Rent It. It is impressively user-friendly and a visual delight that online customers will enjoy browsing through. 7 PSD files give you all the customization options you need to get your car rental business into high gear. Rent It! Let the best deals happen. If you’ve ever been involved in designing a professional job board, then you are familiar with unique challenges and special features required for the website to function properly. 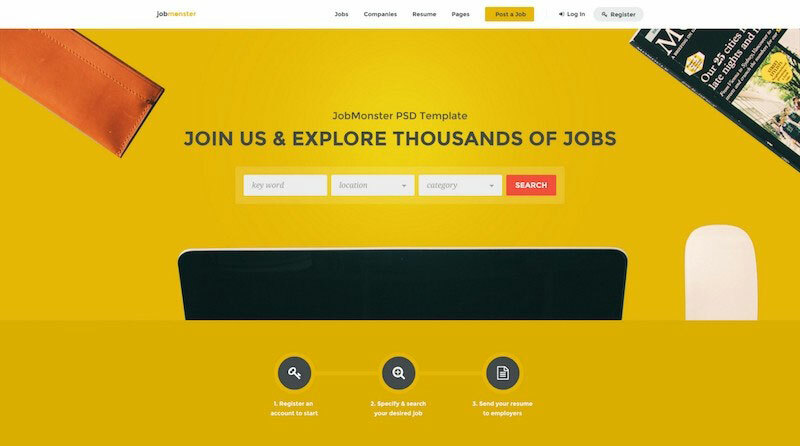 The Jobmonster Job Board PSD Ui pack helps tackle these challenging issues through innovative solutions and great functionalities. Jobmonster provides the ultimate UI pack that helps build great websites for both job seekers and employers. 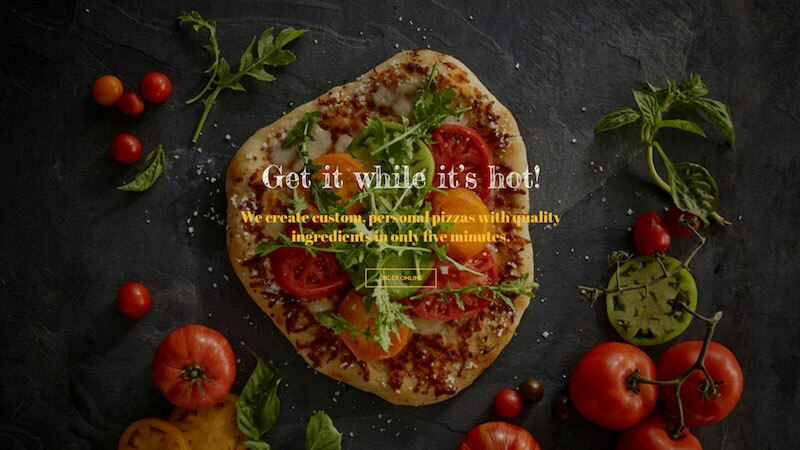 Margherita is a Pizza Restaurant website PSD UI set that offers creative functionalities as custom made products. Featuring a huge range of editable products that are fully customizable with limits to their size. Margherita is perfect for creating enterprising online food companies which offer customers a way to customize their product’s flavors. Margherita – Get it while is hot. Give your fashion store a refreshed loook or create a sparkling new one from scratch with the M4U eCommerce PSD UI collection. This versatile UI collection contains 21 PSD files that are layered and customizable. M4U offers various layout options including: About Us, Contact Page and more. Seven Store eCommerce PSD UI Set is perfectly suitable for any kind of eCommerce business website including clothing, shoes, bags, men / women accessories and much more. Seven Store PSD Set uses clean, modern and visually appealing design that users will find easy to use and flexible. Use unique and awesome short-codes to speed up your project workflows. The Monica UI Collection contains a huge selection of elements that are designed to ease your project workflow. Monica allows you to easily create new pages and incorporate elements within your projects easily. Whether you’re designing a small startup website project or enhancing the look and feel of an established business website, the Monica UI Set has the tools you need to get started and finished today. Aware eCommerce uses a modern, stylish and intuitive assistant to enable you to create great looking and functional online stores. 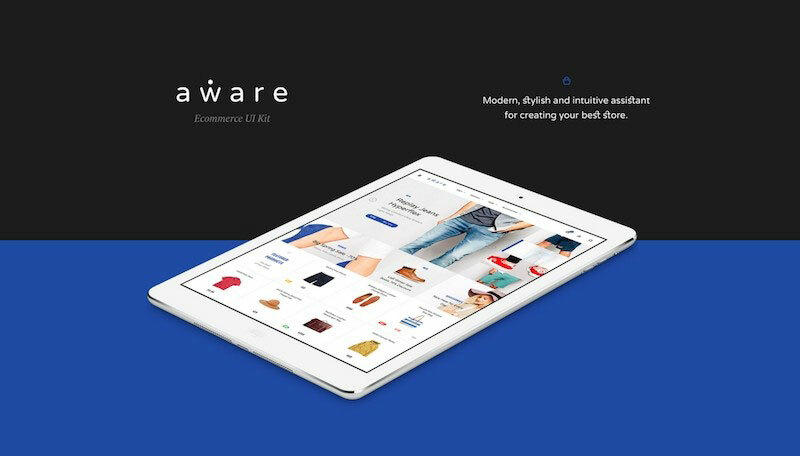 The Aware UI set is perfectly suitable for any kind of eCommerce business website including clothing, shoes, furniture, men / women accessories and much more. This kit is highly customizable and provides great user interface elements. AutoDoc features a fantastic PSD UI set template that is unique, creative, modern and easily adaptable for designing great auto dealer and auto shop websites. Whether you are looking to buy or sell cars online, the AutoDoc PSD Theme provides one of the best UI solutions on the market. The Assyrian eCommerce PSD UI template makes a great fit for any kind of Ecommerce business website including online fashion, clothing, shoes, bags, and much more. Sharp graphics and an elegant design will entice shoppers to browse through your online store longer and increase your conversion rates. Milano is an excellent eCommerce PSD UI set that has a unique, modern look and feel. It contains 22 well-organized PSD files that are easy to group and edit according to your needs. This UI set is designed to showcase your brand and help designers speed up their design process while giving your online store a professional and pixel-perfect look. GoShop is perfectly suitable for any kind of Ecommerce business website including web shop or selling fashion items such as clothing, shoes, men and women accessories and much more. Features pixel-perfect graphics and an elegant design style will encourage shoppers browse through your online store longer. This UI collection is designed to showcase your brand and help designers speed up their design process while giving your online store a professional and pixel-perfect look. Knight’s Corporate and Shop PSD Theme provides a great UI solution suitable for businesses and online eCommerce websites. Knight enables users to quickly create website mockups using unique and modern style designs without having to know any coding at all. Knight PSD templates are easily convertible to WordPress, Joomla and many other systems. Knight – Look of a corporation. Velo’s Stunning Bike Store eCommerce PSD theme has everything you need to make a great looking online store with a sleek, modern and sporty design. Although this UI pack was specifically made for Bike shops, its clever design makes this template adaptable to may other types of business websites including fashion, jewelry and much more. Velo makes it easier than ever to monitor your online business. 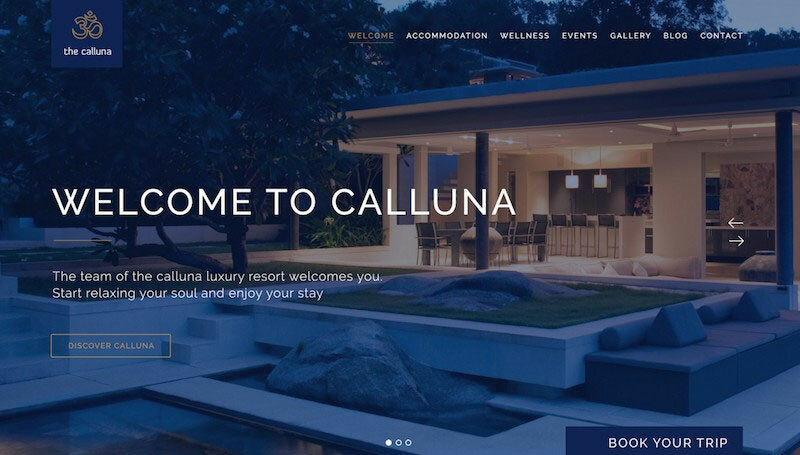 Create captivating hotel and resort website mockups with Calluna’s Hotel, Resort and Spa PSD. This excellent and versatile PSD UI suite will enable to reuse expertly designed elements to quickly create awe-inspiring website prototypes. Calluna features a user-friendly date picker and booking form in addition to other useful hotel-related features. Dink is a highly polished, consistent and professionally designed eCommerce UI freebie. It contains hundreds of components across 6 different categories. Start your eCommerce project today and enhance your workflow with Dink. Finally here are a nice collection of your personal as well as entertainment Website Themes and PSD UI Collections. Magazine-themed websites are among the most challenging page layouts to design successfully. Fortunately, The Colosseum template provides user-friendly web icons and elements that will help you clearly display varying content from different authors in a way that doesn’t distract your readers. Get this great UI set here. 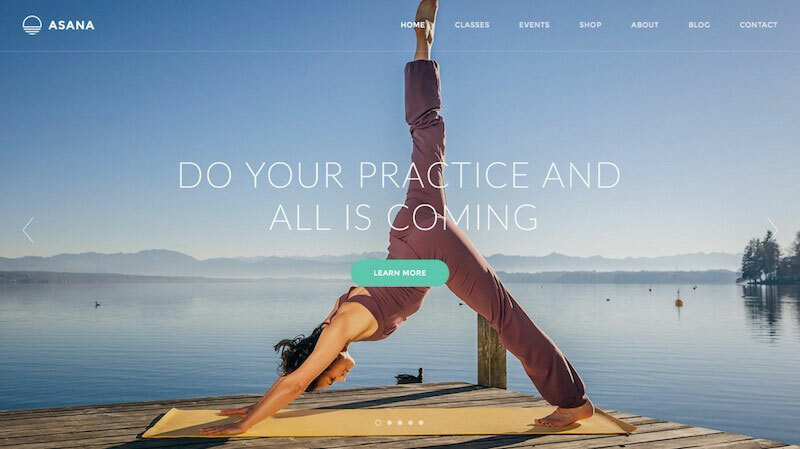 Asana’s Sport and Yoga PSD UI collection is suitable for sport and dance studios, gyms, health clubs and much more. This kit uses a clean, flat, modern design and follows the latest trends in coloring. This UI set converts perfectly to WordPress, Joomla, and other systems. 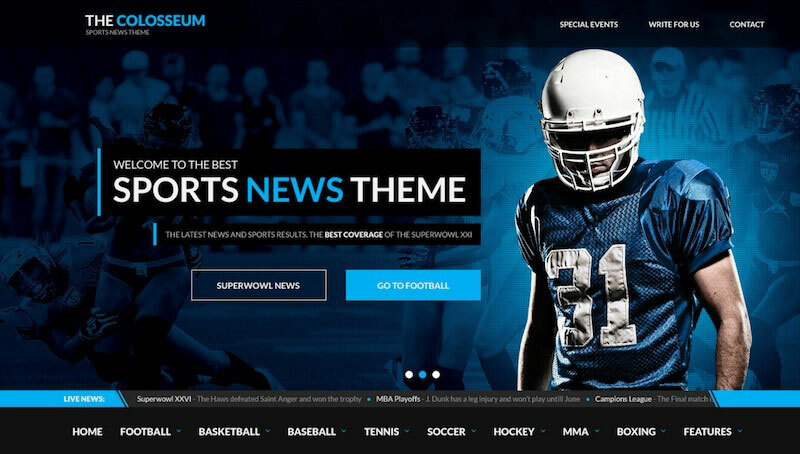 Sport.AK is the all-sports website PSD file collection you have been looking for. 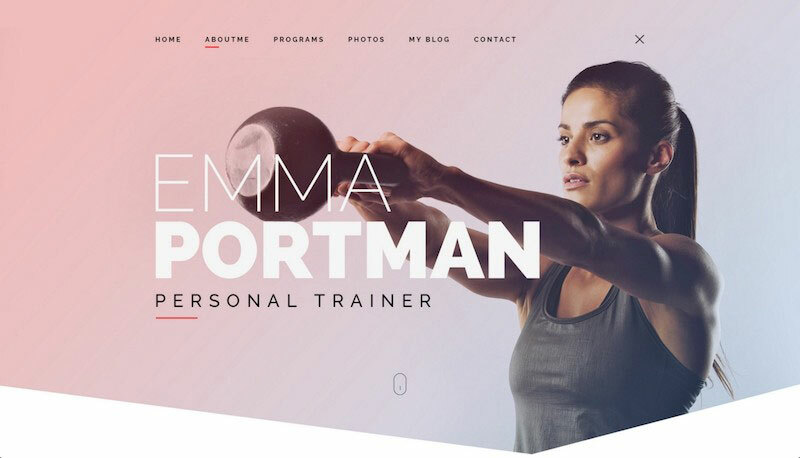 It uses a modern and professionally designed PSD theme suitable for Sport websites like soccer clubs, gyms or even yoga. Sport A.K. uses the Bootstrap grid which makes creating website templates easy and quick. Barni is a clean and modern-looking PSD UI set applicable for a business, portfolio or personal website. This UI set uses vector shapes and comes retina ready. Includes 8 usable landing pages carefully assembled in Sketch and Photoshop. Freebie PSD UI set lets you customize your projects and speed up your workload. Design a wide range of websites that can suit any kind of business from Personal to Corporate to eCommerce. Freebie PSD has everything you need to create a great us interface and colorful designs. Download it here. UI sets PSD and web template elements are very helpful to both web designers and web developers. If you are a freelancer, using UI Collections and PSD templates will save you a lot of time since you don’t need to spend more time thinking for the design. It can please your clients too because you can deliver the project faster. The web is composed of hundreds of UI Packs, both in free and premium versions. You just need to choose the theme that suits your needs. You might also want to try to apply it on your actual web or mobile design and then later on code it using HTML and CSS. Difference Between UI and UX: What’s the Real Score? Now that you have gone trough the all those designs, it’s time to now the difference between UI and UX and learn some more. There is sometimes a false impression among people in workplaces regarding the difference between ‘User Interface’ and ‘User Experience’. Many are asking about UX vs UI. What’s the difference between the two, anyway? Whether you are in a client’s meeting or looking at any job description, chances are, you will find these terms interlinked. It is often expected that the interface designer knows the mechanisms of user experience. 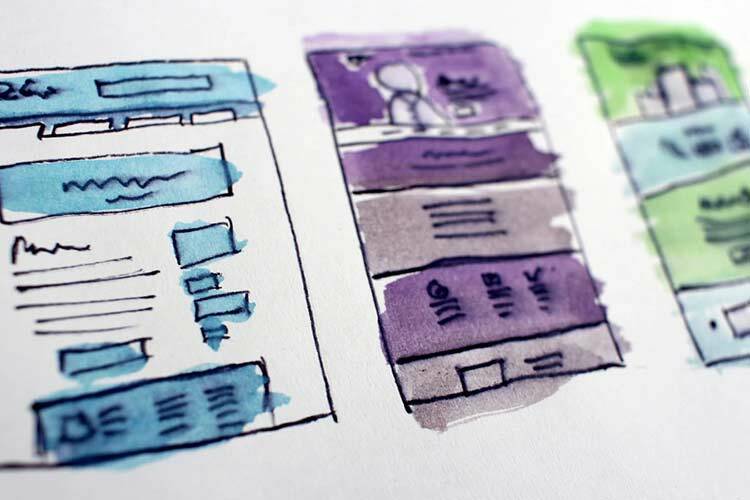 Due to some common characteristics of skill sets mixed up in both concepts, an interface designer can be taken as the right person for user experience work. But, both terms are totally different from each other in terms of objectives and scope. In this section, you are are going to understand the difference between these two terms. Let’s start by their meanings. In the industrial design field of human–machine interaction, is the space where interaction between humans and machines occurs. The goal of this interaction is effective operation and control of the machine on the user’s end, and feedback from the machine, which aids the operator in making operational decisions. In simple words, user interface is actually the system through which users will interact with the machine. There is hardware and software included in the user interface, hardware in the physical form and software in the logical form. The existence of the user interface gives us the input and output. Input allows the users to modify the system. Output allows the system to point out the modifications which user performed. The purpose of this interaction between the user and system is to provide the users effective, friendly and enjoyable experience, thus, producing the desired results. User interface is the visual part of computer application through which users interact with computer. It decides how the command to any computer will be given and how the information will be exhibited on the computer screen. With the increase in usage of personal computers, the word user interface is generally considered as the means of providing graphical user interface. But this term gets clearer when we see its types. There are different types of user interface; however, we will discuss only those which are important. You have probably heard about this term. The GUI accepts the input through the computer keyboard and mouse and expresses the final graphical output on the screen of your computer. Web user interfaces or the web-based user interfaces accept the input from your keyboard and mouse and generates the output in the form of web pages, which can be passed on to the Internet and made available for the users to browse. Touch screens accept the input from user through touch of a finger or the stylus. This type of usage is increasing every day and being used in large number of mobile phones, industrial processes and machines, self-service machines, etc. The user interface design is best suited for giving a pleasurable and rewarding interaction using your product. A good technique is by carefully observing the user behavior. You base your decisions according to the user behavior data you collected, giving you better designs.Some experts have also said user interface as crafting because web designers have to create something that should be liked by the users. For this purpose, many user experience designers use tools such as: Photoshop, Illustrator, Fireworks, Cinema 4D, ZBrush to get their desired results. However, keep in mind that you cannot achieve great user interface without knowing what user experience is about. So, let’s talk about it. User experience (UX) involves a person’s behaviors, attitudes, and emotions about using a particular product, system or service. User experience includes the practical, experiential, affective, meaningful and valuable aspects of human-computer interaction and product ownership’ Additionally, it includes a person’s perceptions of system aspects such as utility, ease of use and efficiency. Interface from a user experience starts out when you have knowledge about setting some requirements for your project. It is about providing the experience to the user for your product. First, you need to figure out the information on hand. Create a data inventory and organize the information accurately. This gives a solid start in going for prototyping process. After that, select the prototyping method that suits your project. Make sure to consider the cost and characteristics of the prototype. Prototyping allows you to collect the feedback from the users in such a way that information is processed in a very fast and easy manner. I hope you have understood the actual difference between both terms. Although both UI and UX are different concepts, they can be combined for the best results. They will certainly help in conveying your message to the users and collecting information from them. Now that you understand the real difference between them, it will be easy for you to hire the right person for your project. Both UI and UX concepts provide simple way to make better communication with the user and helps to solve the issue for properly. Do you think that both the terms are completely different and should be used separately? Or do you think that both are two branches of the same tree? Do you think that having a good UI designer makes it not necessary to have a good UX designer? Please share your thoughts about what you think of it. If you have any question which you want to ask, just put them in the below comment section. I would love to answer them.